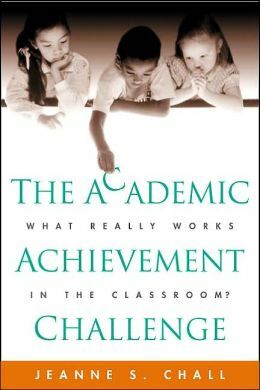 The Academic Achievement Challenge: What Really Works in the Classroom? was Jeanne Chall’s last book. It was completed shortly before she died in November 1999. In this book, Chall identifies instructional procedures in the classroom and the home that have resulted in improved student academic achievement. Underlying this review of research, in each chapter, is a major problem that has haunted educational research and practice throughout the 20th century: the conflict between the empiricists, who base their recommendations on objective data, and the romantics, who favor progressive, student-led instruction. At one pole, we have romantic notions of discovery learning and children joyfully teaching themselves. These ideas have been expressed in Whole Language, Language Experience, Open Education, Discovery Learning, Student-Centered Education, Hands-On-Learning, and Constructivism. At the other pole, we have the results of empirical research— results that have shown the advantage of instructional support and systematic instruction. Chall’s book provides research and thoughtful analysis on this unrelenting conflict.